Hello, my name is Hollie and I’m addicted to Netflix. It’s been…ah no, I’m still watching while I write, and yes it is a period show, but this time it’s not a drama, it’s a comedy. Netflix has been quite the device in developing my love for period shows. I’ve been introduced to shows I didn’t even know existed and I’ve devoured them with gusto. Although I’m not happy with how much television I have consumed in the last two weeks, I am happy that I can watch period dramas ad free and guilt free! 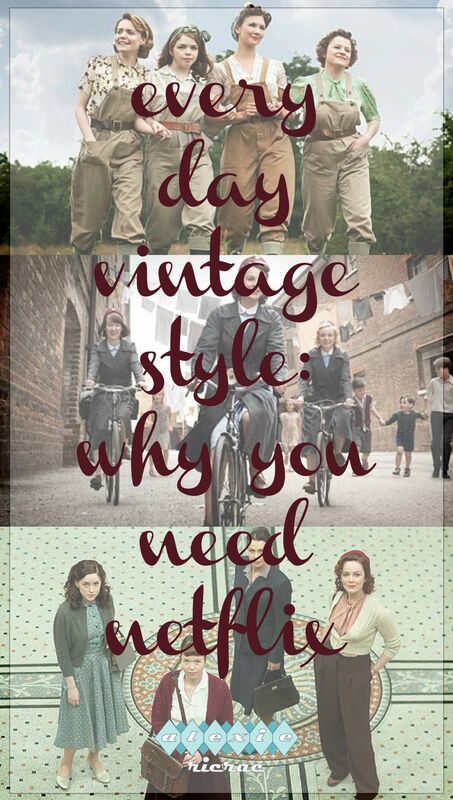 Justification though of watching so many shows has been observation and learning more about everyday style in the late 30s through to the early 60s. That’s right, all the shows I’ve been watching are either set during the war years or the post war years, and they’re all British. I’ve observed keenly the outfits, hair styles and make up in particular. I’d like to think that, although not completely accurate, they’re pretty darned close. I’m a pretty low-maintenance, no fuss kind of gal, and my every day routine does not consist of perfectly polished hair, make up and outfits. This is not an attack on anyone who does pull themselves together perfectly every day, it’s just never been my thing to get all dolled up every day. That being said, I do take pride in my appearance, and watching these shows has been a wonderful insight into the every day looks of the 30s through to 60s. It’s also been a great validation for me too! 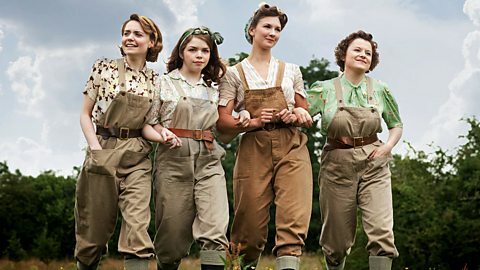 Set in the Midlands, Land Girls follows the journey of women in the Women’s Land Army in the 1940s, particularly around the time of The Blitz. It’s 1957 in post-war London, Poplar to be exact. 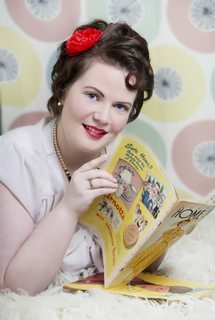 Call the Midwife is an adaptation of the memoirs of Jennifer Worth (nee Lee). Twelve years after World War II, and the world is experiencing a ‘baby boom’. Poplar is far from glamourous, it’s in the East End of London, and is (in post-war times) one of the most poverty-stricken places you will find. A combination of meticulously groomed midwives, along with middle and lower class wives, there is an abundance of style to observe in this show. Call the Midwife has also got me thinking lots and realising I want to ask more of my grandfather about post-war London. My own dad was born in London just 5 miles north of Poplar in 1958, and I know our family lived in the East End of London for a very long time. I want to know how accurate the show really is in its portrayal of life as an East Ender in the late 50s and early 60s. Nb. Netflix (Australia) has only seasons 1 – 3 of Call the Midwife available at the time of writing. There were, and probably still are, many secrets about World War II. One of those secrets to have been unearthed is what really (or is it only a slight truth?) happened at Bletchley Park, situated in Milton Keynes. The Bletchley Circle is a miniseries telling the story of the lives of four women – who were codebreakers at Bletchley – in their post-war existence in 1952 and 1953. A darker show, a mystery, the costuming of the four very different women is wonderful to see: a librarian, a housewife, a translator, and an office girl. Each woman has different specialties and talents to bring to each mystery, along with their daily attire and presentation of self. I’ve also watched the film Restless, a film set in 1976 about a young woman who learns her mother was recruited by the British Secret Service in 1939. Again, more period style than you can poke a stick at, but fabulous nonetheless. In good time, I’ll get started on Miss Fisher, and a slew of other period shows. I don’t like to cheat on my shows, hence watching only one show at a time. Right now, I’m watching That 70s Show from the beginning. While the 70s look doesn’t really suit me, I love Kitty’s hair and shoes. Do you enjoy period shows?